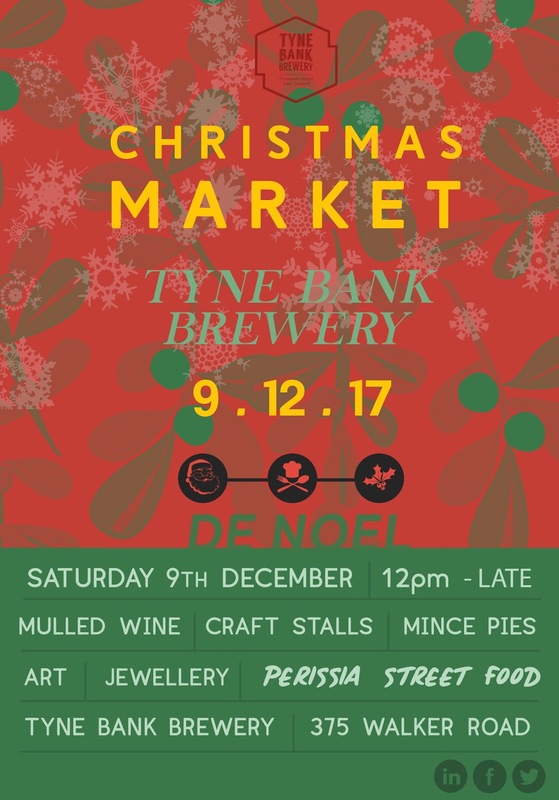 Expect mince pies, mulled wine, festive tunes, fine cuisine and a plethora of Artisan makers and stalls! Over the day we'll welcome and be joined by some of the most talented makers and creatives in the North East! Artists, jewellers, illustrators, potters, record shops, woodworkers and loads more! 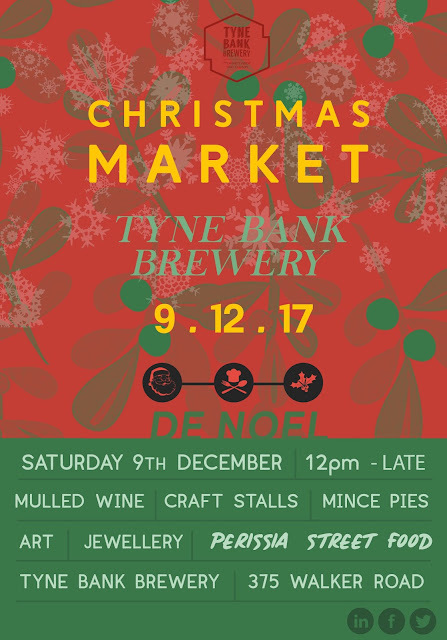 It'll be a perfect opportunity to grab some stocking fillers and handcrafted, bespoke gifts. Full list of traders to be unveiled soon! Making their Tap Room debut, we're super excited to have street food vendor Perissia with us. From 12 noon they'll be dishing up some Middle Eastern delights! As always free entry | Child & Dog friendly | Support your local creatives.